Often, the terms "Dancesport" and "Ballroom Dancing" are used interchangeably. Strictly speaking, Dancesport is competitive Ballroom Dancing. At MUDC, we take a more relaxed approach - there's no pressure to compete, and it isn't all strictly ballroom either. Ballroom Dancing is officially divided into two styles: Modern (also known as "Standard") and Latin American (often shortened to "Latin"). In addition to these styles, MUDC also offers Street Latin and Swing. So where does the "sport" in Dancesport come from? Contrary to the stereotype, Ballroom Dancing is not just old people walking to music. 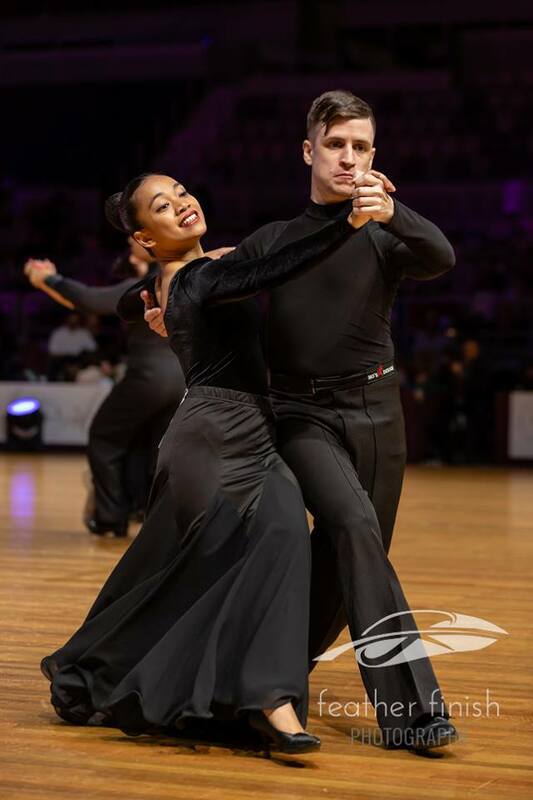 Anyone who has done a few laps of Quickstep or a Swing routine can attest to the athletic challenge of Dancesport; the graceful performance of a Foxtrot or a sensual Rumba is a culmination of many hours of strenuous practice! Dancesport is experiencing growing popularity among young people, and its not only because it's become fashionable thanks to TV shows like Dancing with the Stars. Amateur dancers enjoy meeting lots of friendly new faces through classes and social events. Moreover, being able to get up and dance with anyone to almost any type of music is a great social skill, and being around others who can do the same is incredible fun—just ask anyone on the MUDC committee!